Being new at UCLA can be a scary time. But that doesn’t mean that you don’t have what it takes to be a Bruin. Want to have a step up compared to your incoming peers? Keep an eye for these things and you’ll be the new Bruin to watch out for. Ready to rock your four years at UCLA? You’ll need these 10 tips. Most students acquainted with the lax tyranny of the semester system struggle with the quarter system because of its aggressive pace. “The quarter system is a sprint of 10 short weeks of instruction followed by a gruesome week of finals. As soon as you see the syllabus, you’ll be swept up in a flurry of readings, assignments and exams,” third year art student Megan Hubbard said. You won’t make it at UCLA without killer time management. And if you want to keep track of your time like all the cool kids at UCLA, invest your money into a Passion Planner. They make a trendy statement and many Bruins are able to see their goals come to fruition with their aid. “Bruin Walk is iconic at UCLA, and cuts straight through, splitting the campus between the Humanities and the STEM side of campus. The route will often take you where you need to go. But you’ll often be assaulted by waves of tourists, flyers and other students,” said fourth year statistics major Brendon Song. Bruin Walk tends to favor students who need to reach South campus. Take the northern route from The Hill (dorms), past the IM field. It’ll cut your commute to classes held in North Campus by half, while also featuring more scenic sights. “Finding your place at UCLA takes a lot of work. You have to put yourself out there and apply for things you might even have an inkling of an interest [in]. Try joining a group that you normally wouldn’t. You might be surprised at what you find,” third year political science major Eliza Shrode said. 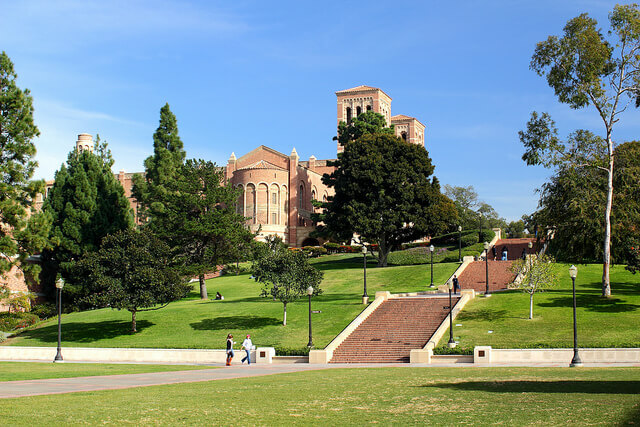 UCLA offers a myriad of resources and extracurriculars. Tons of people on campus join dance groups, film clubs and even work in student government. “I never thought I’d find myself joining the Beyonce club on campus. But now I love talking about my lord and savior Beyonce with others who also feel the same way,” Shrode said. “Finding your niche on campus can be a long and trying period. UCLA life is fast, and it gets lonely if you feel like you haven’t found your group. A lot of freshman find themselves suffering from a bout of depression during at least one of their quarters at UCLA,” said Shrode. It might take time to find your place, and it might even cause your mental health to suffer. But stay persistent. If your mental health takes a hit, don’t forget to check out the mental health resources on campus. GE Cluster Courses, unlike other courses, take the entire year to complete and specialize in various topics. A team of professors run the courses and cover a range of material. “GE Cluster Courses are for incoming freshmen only. And they’re tough courses! But they’re also super fulfilling. You can get rid of all the GE credit that you need in one fell swoop while also attending field trips,” third year economics and English double major Ananya Bhargava said. And you thought you left field trips behind in elementary school. “I made some of my best friends while camping during field trips,” Bhargava said. “Once it hits the third week, it’s just a constant stream of work. No one understands the significance of week three as much as quarter students,” third year history major Jhem Quintana said. “Part of being a student here is learning to balance your life so you’re not just doing work all the time.” No other school system feels as rushed or demanding as the quarter system. It makes you wonder why anyone would ever decide to cram a semester’s worth of knowledge into ten short weeks, but that’s the reality at UCLA. Falling into a false sense of safety at the beginning of the year will set the stage for a huge disastrous storm. 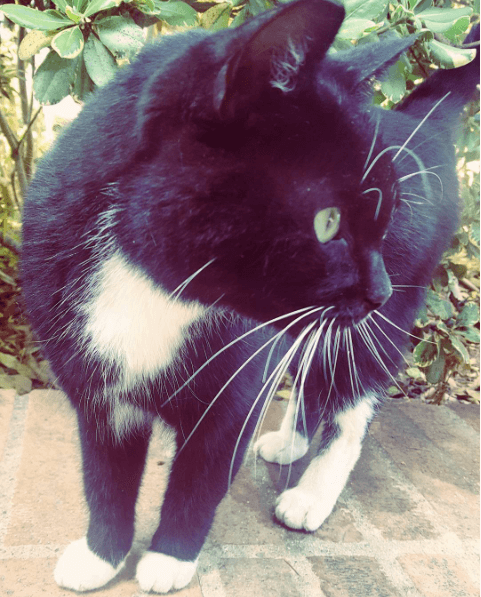 UCLA’s iconic library, the Powell Library, has a few resident cats. The legendary Powell Cat prowls the campus terrorizing the native rodent population and giving hope to the resident students. You might find it healing to pet the Powell Cat and offer it sacrifices of small bits of food. “The Powell Cat is iconic. Most people here at UCLA try to take at least one photo with it before graduating. It’s super elusive though, so when you do spot it, you’re in a for good day. What a blessing,” Hubbard said. Dogs run abound on campus. People who live in the surrounding area often come onto campus during their morning and evening walks, bringing with a constant stream of their fluffy nice companions. “Many of their owners are open to friendly students having a casual pet session. Take care of your mental health and just pet a dog,” fourth year English major Eunice Shim said. When walking around UCLA’s scenic red brick buildings, you’ll come across many students mysteriously holding “the banana.” You might ask yourself, why? And where do they come from? If you don’t live at the dorms, this banana phenomenon might be mysterious to you. “UCLA is a land of banana supremacists. It is the fruit that people prefer smuggle out of the dining halls. UCLA’s dining halls allow students to leave with small pieces of fruit or a small slice of dessert. Many choose the yellow banana as their choice fruit,” said second year molecular biology student Fergie Sanders. This has caused there to be an epidemic of students wielding bananas. Third year English/Political Science double major at UCLA. Lover of high fantasy, science fiction, and small coffeeshops. Is aspiring to write the greatest series ever.